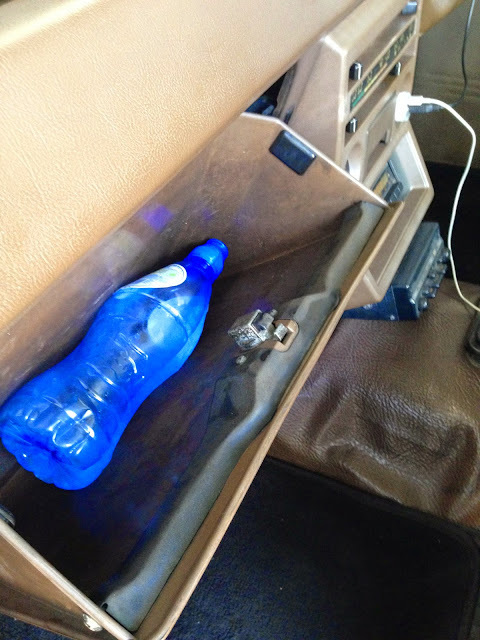 TIGERLIM.COM: How To Make Your Car Dashboard Compartment To A Fridge? 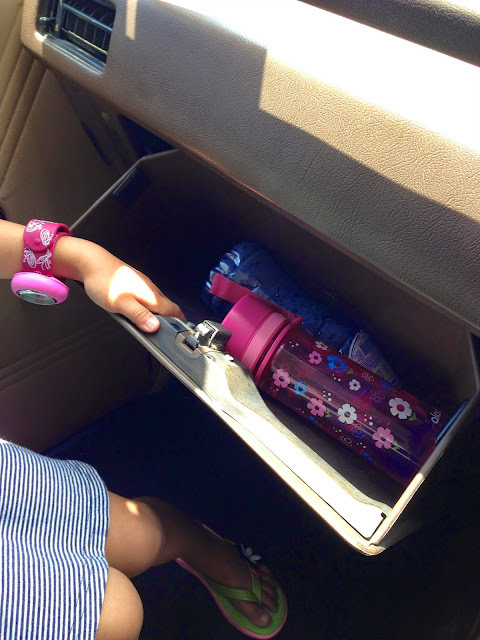 How To Make Your Car Dashboard Compartment To A Fridge? It sounds like impossible right... How can make a the dashboard compartment to a fridge in less than $10.00 or even is free?? But I really did it and it really works and really cold, where ever I go with my Hulkjero I can have with a cold beverage. Why I got this idea is because I was arranging the compartment, all i have inside there is expire document, paper, no ink pen and some tissue... basically it just like a trash bin. I just realize this compartment I seldom open... maybe just open once a week or less so is kinda useless. I'm thinking what can I do it it... at that moment I saw my water bottle is was put right between my seat and the seat belt lock. My old Pajero there are no cup holder or place to put bottle. In that moment I know what I can do... let's make it into a cool box but the result it cold like a fridge!! 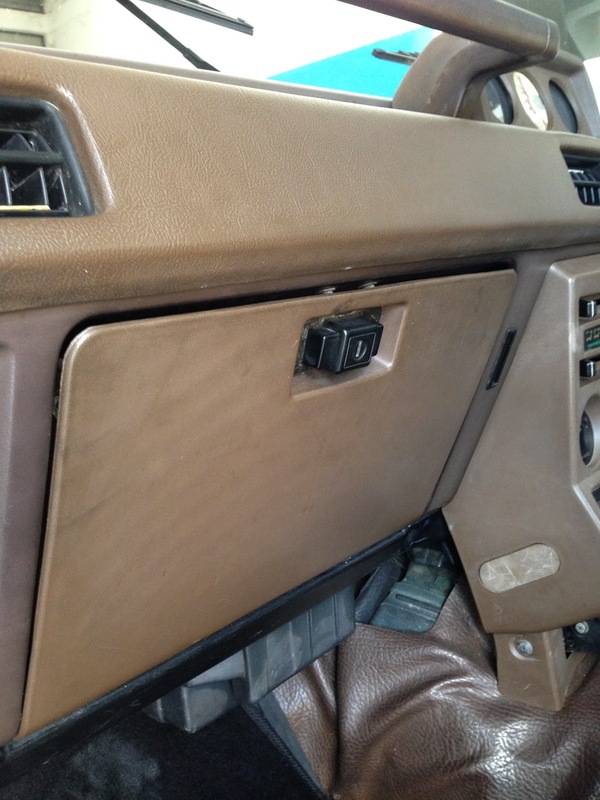 My Mitsubishi Pajero is the first model 1983 2 doors. Although is under power but the ac really awesome cold. In Brunei car no power never mind but the ac must be very cold if not hot die me!!! 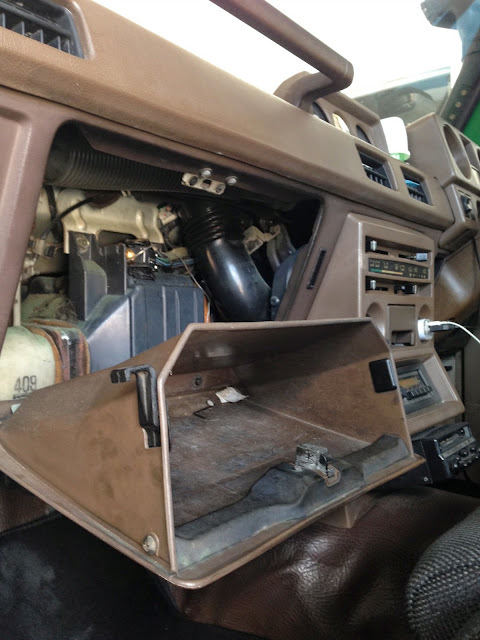 I open the compartment and saw the hose from the center ac to the passenger, I was thinking maybe I can cut a little bit hole and let the cold air blow in the compartment so that it will become cold. I know that if I do that way the passenger side ac wind will drop. But is ok lah... most of the time nobody sit there and my is 2 door the room is very small so is cold enough one! I took out the original hose when to look a rubber spring hose to replace it the reason is because I don't want to cut the original one... very wasted lah. 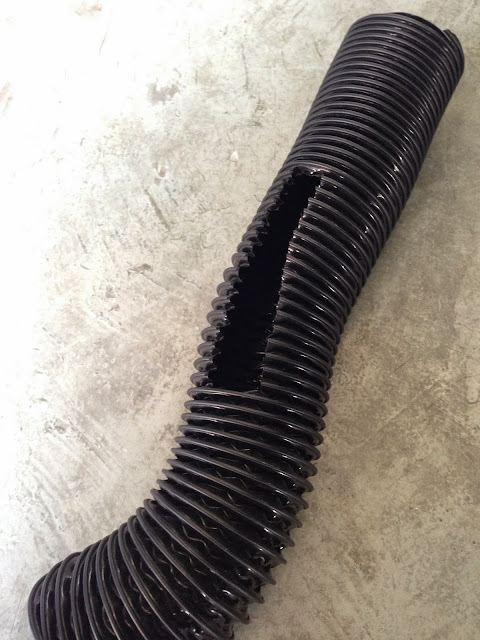 The rubbe spring hose you can find at the car aircon work shop or you can try to look for the Vacuum cleaner or washing machine hose also can. If got the used one much better coz is freebie. I just cut a little hole and put back in, make sure the hole is facing down the box!! How cold is it? I use a thermometer to test inside the box it was about 8 to 9 degree 'C. 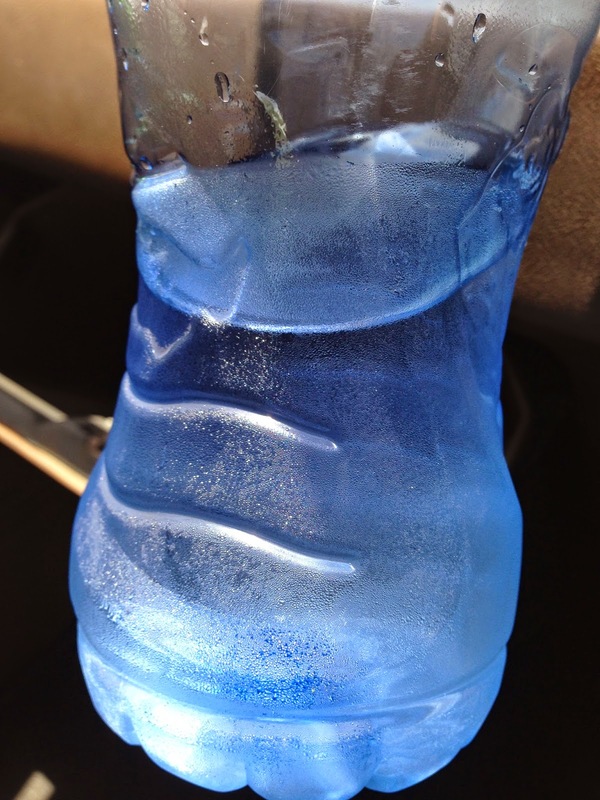 when I hold my water bottle it feels like just take out from my kitchen's fridge... really awesome!!! Really easy to make one simple as ABC.... if you also same like me the compartment not really use it why not try this DIY and you can have a fridge like my now! Now let's see the picture how I do it... you won't believe it was so easy to make one! First I open the compartment clean up all the stuff. As you can see inside the ac blower and cooling coil inside there. 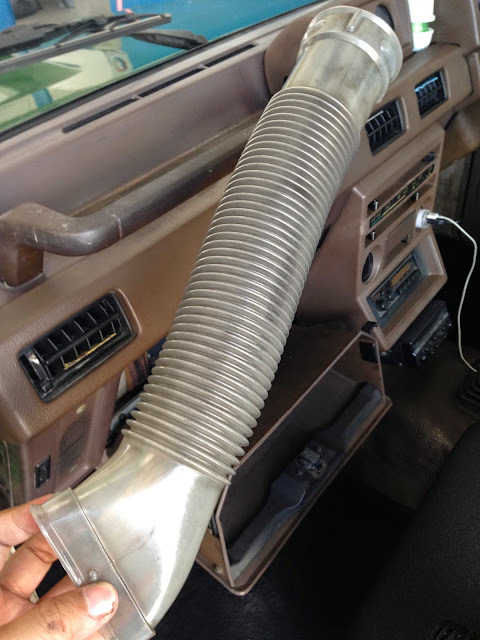 That's the hose bring the cold air to the passenger side!!! So I got one hose from my friend's aircon shop.... freebie yeah!!! Cut about 5 to 6 inch long hole just like that you see the picture! Next... just put it back and make sure the hole is facing down the compartment. Again close back the compartment and full blase the aircon. As you can see my water bottle here you can judge how cold is that with my water now!!! After I done with my fridge my daughter she found my secret compartment she also want to put her drink in too!! So try to make one yourself but make sure you are no more using the compartment for keep your document oh!! !